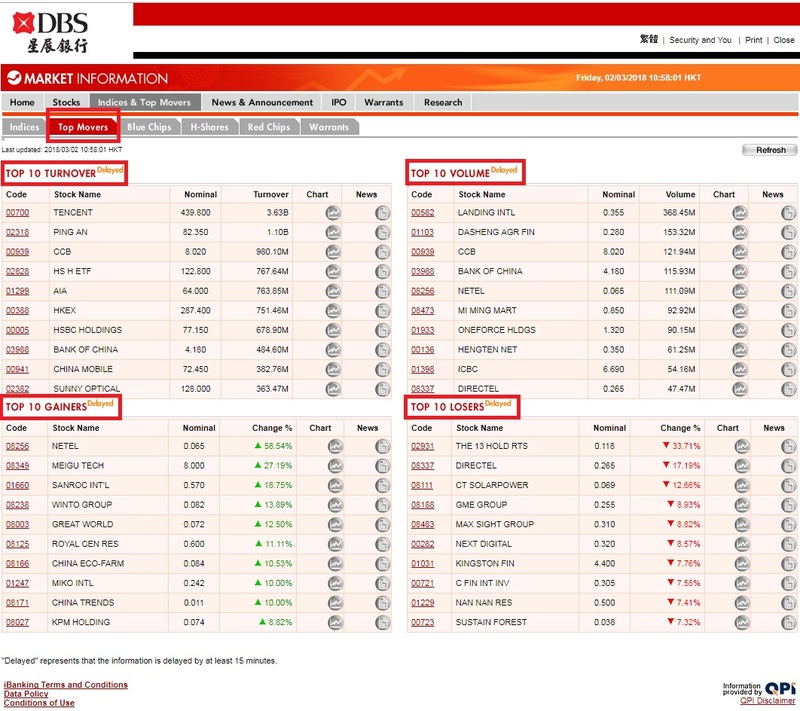 How to search for Top 10 Movers with DBS iBanking through Market Information? 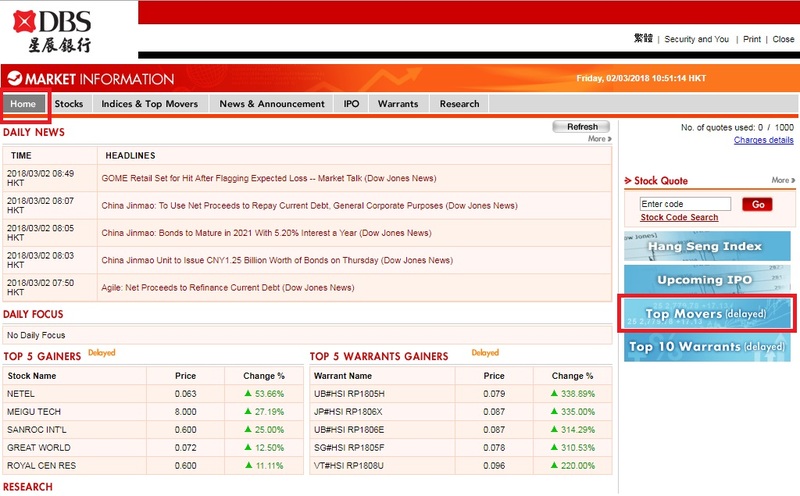 It is free to get detailed quotes, access major indices, top movers, research, market news and announcements, warrants and IPO information. 1. 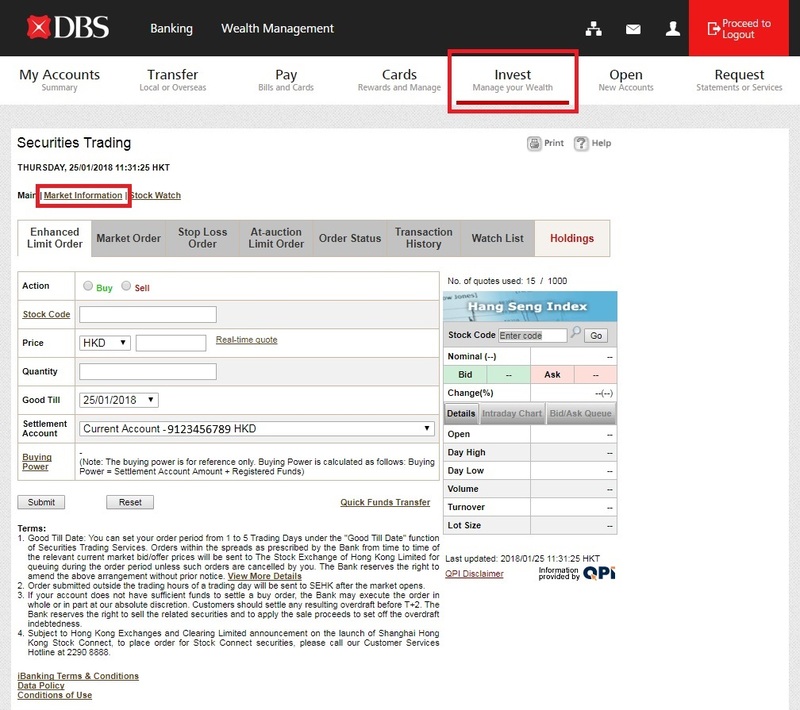 First of all, you have to open a securities account and register for DBS iBanking service. 3. To enquire Top 10 Movers, choose Top Movers (delayed) on the right-hand side. Please note: Above information is Delayed, represents that the information is delayed by at least 15 minutes.